Knowing her college search was bound within the borders of her home state of Vermont, alumni Eva Clark found an unexpected home at Castleton University. After touring The University of Vermont, Clark came to realize that small class sizes and the tight community at Castleton would be her best fit. The University proved to be the perfect environment to figure out which direction she wished to take her academic career. “After nearly two years of being undeclared and exploring what classes sparked my interest, I chose Communication because it is the major that suits me best based on my strengths,” said Clark. Having completed many classes within her declared major, she became entirely involved in her program of study from the support and encouragement she received from her professors. Staying active socially and academically, Clark could be seen all over campus with a friendly smile on her face and a warm hello to anyone she saw. A member of the Varsity Women’s Soccer team and the Habitat Club, she worked to keep energy and spirits high within both groups. 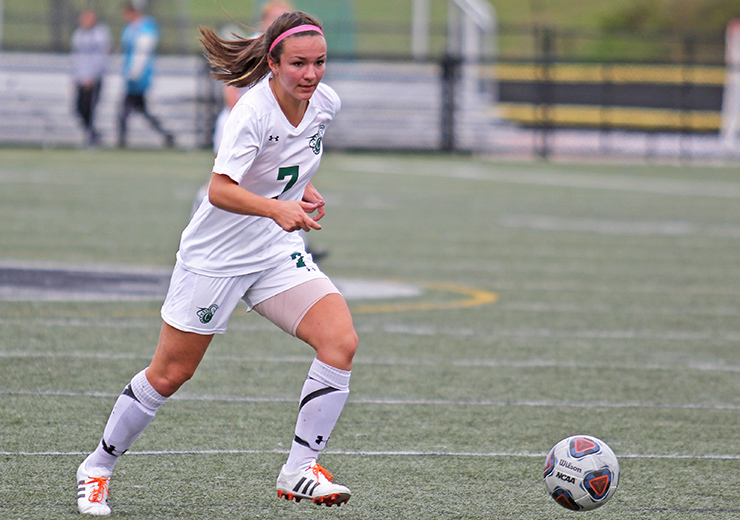 “My experiences on the soccer team will be what I remember most about my time here at Castleton. Nothing compares to being on a team, playing the sport you love with some of your best friends,” said Clark. Clark appreciates the Vermont setting and credits it to helping with some of her collegiate success. The serenity found in Castleton’s location provides a calming feeling to campus, something very valuable to all students during exams and other stressful times.